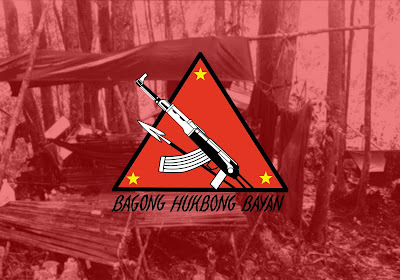 MALUNGON, Sarangani Province – A Communist NPA Terrorist (CNT) was killed after minutes of firefight against government troops from the 73rd Infantry Battalion (IB) in the evening of October 5, 2018, at Sitio Mahayag, Brgy. Upper Suyan, Malapatan, Sarangani Province. A report from a concerned citizen stated that there were about five terrorists under the command of alias “Bagyo” who were conducting harassment and extortion activities to the residents in the said Sitio and nearby Sitios of Barangay Upper Suyan. Government troops immediately responded to the report. At around 7 o’clock in the evening, while the government troops were approaching the area, a volume of fire was heard from terrorists’ position causing the troops to return fire towards them. A dead body later on identified as Jimmy Ambat was found at the scene of the encounter after the firefight. No soldier was hurt in the incident. The following day, a search and clearing operation was conducted which resulted in the recovery of one (1) Calibre 30 M1 Garand Rifle. The troops of 73IB are still in pursuit operation as of this writing. Lieutenant Colonel Marion Angcao, Commander of 73IB in his statement said that the troops are in the area to secure peace and safety of the people as part of their mandate on protecting the people against terrorists. "We are not letting our guards down against any armed threat that can harm the peaceful lives of the residents in the upland,” he added. On the other hand, Brigadier General Roberto Ancan, Commander of 1002nd Brigade said that the continuous armed struggle will only bring death, misery, anger, and poverty. "The people of Sarangani deserve to have a peaceful environment. We are once again calling the NPAs to go back to the folds of law, various benefits are enhanced to support you and your families especially when you surrender and lay down your firearms,” BGen. Ancan added. Meanwhile, Major General Noel S Clement, Commander 10ID commended troops’ accomplishment and thanked the people of Malapatan for their timely information. "Your continued support is essential in maintaining peace and order not only in Sarangani but all of our communities within 10ID’s area of responsibility. The 10ID is always here to support the government’s Enhanced-Comprehensive Local Integration. The protection of the people and their communities will be our main purpose as we pursue against the remaining communist-terrorists in the area,” MGen. Clement added.